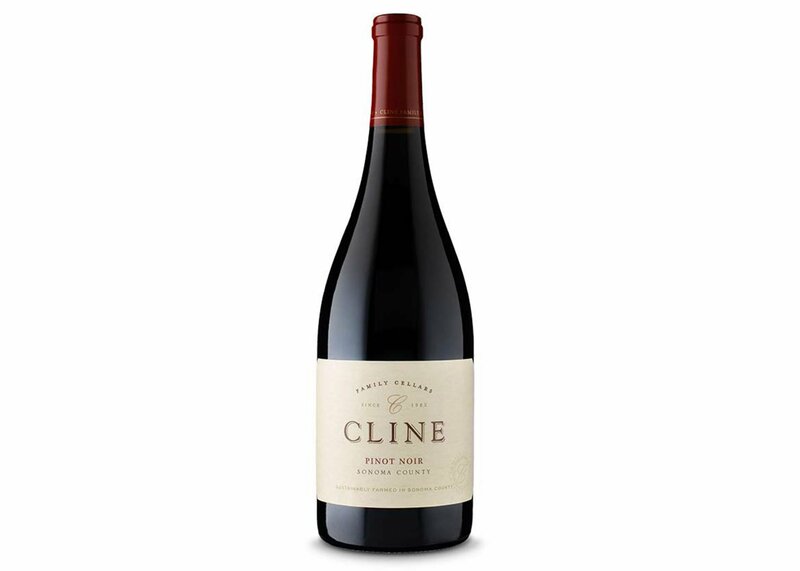 Fred Cline started Cline Family Cellars in 1982 in Oakley, California, making his first vintages from original plantings of Mourvedre, Zinfandel, and Carignane, some of which dated back to the 1880’s. In 1989, Fred purchased a 350-acre horse farm in Carneros and moved the winery to Sonoma County. As one of the original Rhone Rangers, he began planting varietals that included a number of vineyards dedicated to Syrah, Viognier, Marsanne, and Roussanne. Since those first plantings, Fred and his wife Nancy have continued to plant vineyards throughout Sonoma County, expanding to include more classic varieties like Pinot Noir, Merlot, and Chardonnay. We are proud to be a Certified California Sustainable Vineyard and Winery. The program acknowledges a long-term commitment to continual improvement in the field of sustainable winegrowing and business practices, from grape to glass. Vineyard notes: Sonoma County is one of the finest regions for growing world-class Pinot Noir. The Clines were early pioneers in southern Sonoma County planting Pinot Noir vines almost 20 years ago. The location that Fred Cline selected benefits from a coastal mountain opening that spans from the Pacific Ocean, through the town of Petaluma and on to the San Pablo Bay. In summer, vines experience foggy mornings and cooling evenings balanced by sun-drenched warm afternoons. These growing conditions allow the fruit to hang longer, fully ripen and mature which adds bright acidity and intense flavors.